This morning I shoveled the slushy detritus pushed into my driveway from this morning’s snowplow. When I was done, I looked up to see what has become two huge towers of snow. One side is at least 6½ feet tall, the other nearly so. These behemoths have been tall enough to affect both the view when entering/exiting the road and trash pickup since the first week of January. So why am I thinking spring now? Well for starters tomorrow is forecast to bring heavy rain and 40°+ temps, along with above-freezing highs for the rest of the week (mostly). More importantly, I ventured to my LBS yesterday and ordered up my tires for the year. A nice pair of Continental GP 4000s (700×25). I settled for Gatorskins last year. Never again. All of this makes me so very hopeful that Spring will be here soon. March is here in two days, and that is always a good sign. I just have to stay focused on the trainer and stay disciplined on what I eat. I am optimistic for this year’s rides. Hello all. This time around we have one person felled by a computer. The other felled by his own demons. I present one Ken Jennings; taken out by Watson, the IBM supercomputer on Jeopardy!. 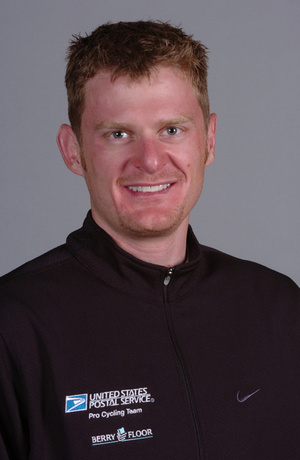 The second of today’s pairing is the enigmatic Floyd Landis; winner and loser of the 2006 Tour de France. 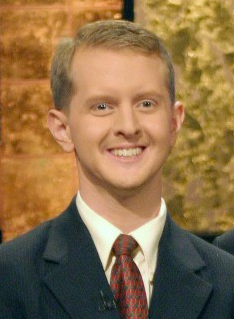 Ken Jennings, while seemingly smug, doesn’t irritate me like he does some people. I’m totally jealous of what he did on Jeopardy! – I can’t get past the online contestant searches. Floyd on the other hand has done his best to burn all bridges he had in cycling. He denied everything for years and even took in donations for his defense, then about faced and said he did it after all. While this is certainly enough to blight him in most people’s eyes, I think his worst act was to effectively take down the Bahati Foundation team.